Loren left Bad Water, Death Valley, California on June 15, 1975 on an expedition never before attempted. 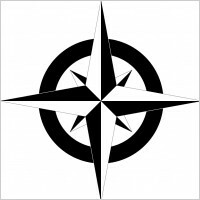 He was going to drive one American-made vehicle, a 1972, Ford F-250 pick-up truck around the world on a north / south course, all on land, except for the South Atlantic Ocean....."Roads End to Roads End" - Arctic Ocean to Arctic Ocean. 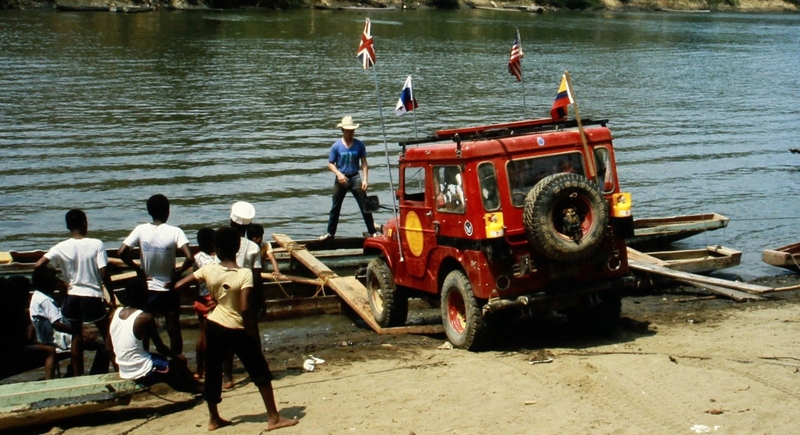 The first formidable obstacle on the route was the notorious Darien Gap of Panama and Colombia, a motorist's nightmare - or an off-road adventurer's dream. I first met Loren shortly after he arrived in Panama. At that time I "toyed" with the idea of joining the expedition, but I was not yet ready. In early 1977 Loren once again set off from California, this time in a brand-new American Motors CJ-7 Jeep. Again, I briefly saw Loren and again, I "toyed" with the idea of joining the expedition. I was still not yet ready. After 49 days, Loren succeeded in crossing the Darien Gap in what was a "near textbook perfect" adventure. 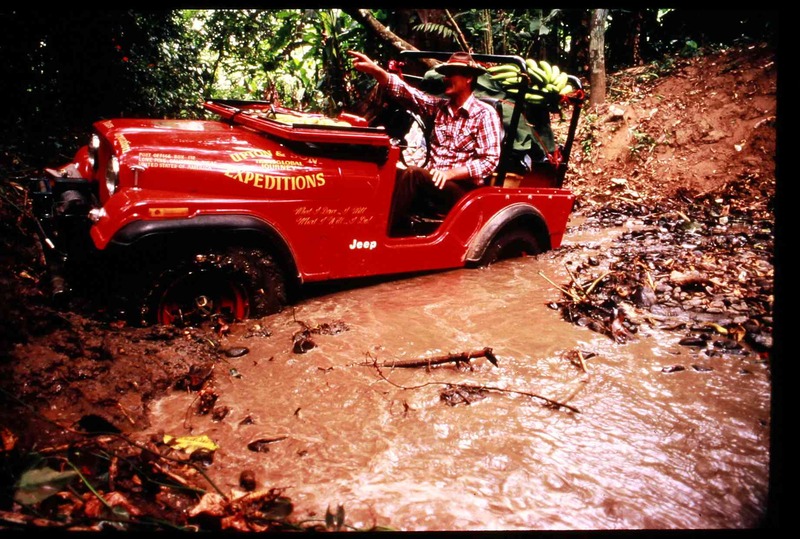 About 12 miles were traveled with the Jeep tethered and lashed to the top of two local piraguas (dug-out canoes) through the Atrato Swamp area of Colombia - thus not an all land crossing. 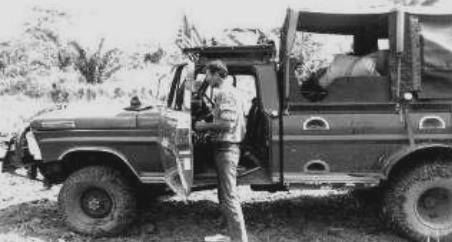 Loren was determined he would take one American-made vehicle on this expedition, not a series of them; so in early 1979 he set off in another new AMC Jeep, this time a CJ-5. This particular expedition, however, was not meant to be. On this trip, I did not see Loren, in fact, I knew nothing of this attempt until five years later. This, the third attempt, was brought to a swift and concise end in the Darien Gap itself. Loren had a rather unpleasant encounter with a somewhat corrupt Colombian Park official and would not agree to his "pay off" demands. As a result Loren and his other expedition members were allowed to leave but the vehicle was left deep within the confines of the Darien Gap, a long, convoluted story, to be told another day - A World Odyssey - The Epic Voyage of the Sand Ship Discovery. While negotiating a narrow, foggy mountain pass high in the Andean Mountains of Southern Ecuador, Loren reached out to clean the windshield (the wiper motor had been damaged while in the Darien Gap). The road made a sharp turn, he didn't. The vehicle's fall was cushioned by some heavy brush that ripped the Jeep's soft canvas top off. Loren was thrown clear and sat in stunned silence, watching the Jeep's headlights cut through the misty darkness as it flipped end over end. 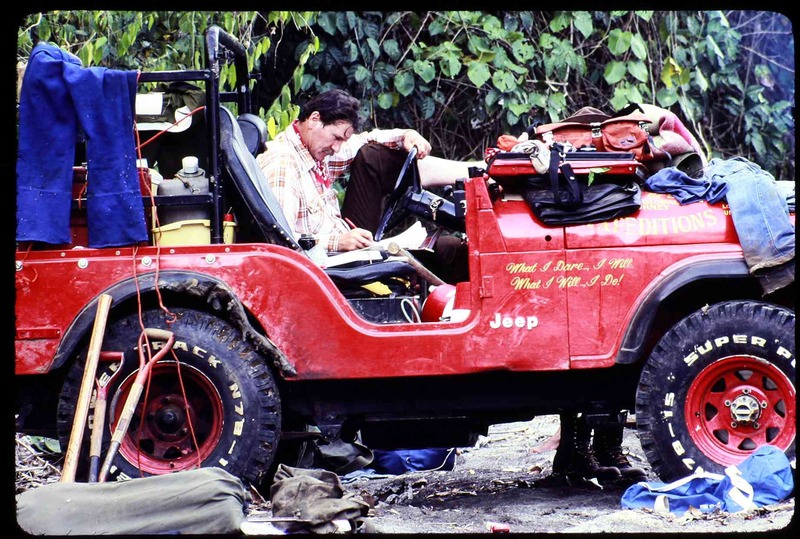 Even before the Jeep came to rest some 300 feet down the dark mountain side, Loren was making plans for the next expedition. The roadless Darien Gap is over 125 miles of thick jungles, tortuous rivers, low but rugged mountains, and a vast marshy swamp that separates Panama from South America. The Pan-American Highway stretches some 17,000 miles from Alaska to Argentina, and is yet to be completed across the Darien Gap. On that fateful first attempt to conquer the Darien Gap, while Loren was away, a member of the expedition was shot and killed, probably by bandits' gunfire. It is still somewhat of a mystery as to why the man was killed, as nothing was stolen, or it may actually have even been a terrible accident. The natives in the area have very old, and sometimes homemade firearms. We have known them to be somewhat careless with these ancient firearms, so who is to say it was not a most unfortunate accident. At any rate, that put an end to that particular attempt.